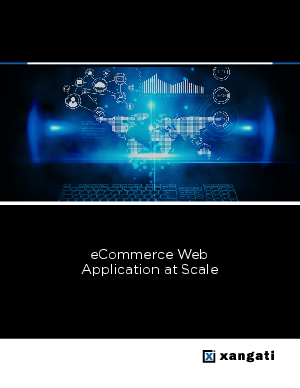 Every organization with an eCommerce web site along with application developers and IT infrastructure managers are concerned about delivering the best possible end-user experience. If the end-user is happy, then business functions normally. However, many organizations are dealing with the exact opposite: an unhappy end-user, which is bad for business. That’s where Xangati comes in. Our solutions manage the performance of web applications by providing visibility into the endless metrics across the entire end-to-end IT infrastructure. Only Xangati allows you to monitor the entire infrastructure in real-time, leveraging best practices, self-learned alerting system as well as end-to-end profiling to identify and resolve contention storms. We can help you get the most out of our existing infrastructure wile ensuring a clear view and rapid remediation. Find out the exact cause of a user performance issue with Xangati, fix it quickly and prevent its occurrence. Our solutions are available to help you see what’s going on in your environment, optimize your operations and delight your visitors.